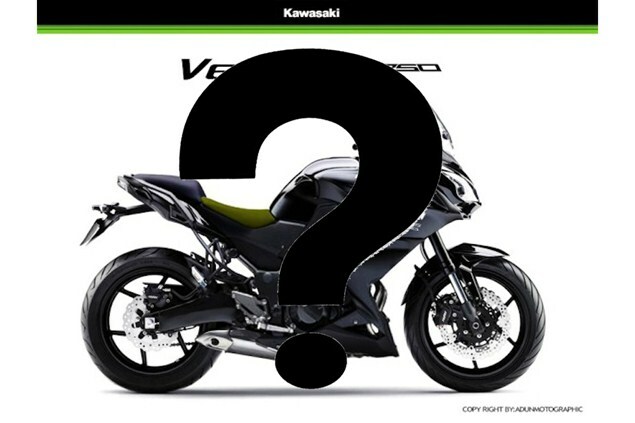 KAWASAKI is set to launch a mystery small-capacity machine in December, Visordown can reveal. An invitation to the launch says details cannot yet be confirmed but that ‘it will be an all new small-capacity machine’. So what is it? The new Ninja 300 that Asian bike titles believe is coming? That’s supposedly an update rather than an all-new model. Which only seems to leave the also-rumoured Versys 250/300. Indonesian bike websites including Tmcblog are confident enough that is coming to have published a rendering, shown in our main image (with a big question mark over it, as if the speculative nature of this story wasn't clear). It's said to be built around the engine from the Ninja 250 (Ninja 300 in Europe). Intrigued? Us to. We honestly don’t know what the mystery new bike will be – but we thought we’d tell you all we did. It's set to be launched on December 11-12 in Spain.